SEOUL (Reuters) -- Hyundai Motor Co. plans to spend around $1.8 billion by 2020 on a major offensive in commercial vehicles, including entering the race in the United States, to catch up with rivals in a rapidly growing global market. 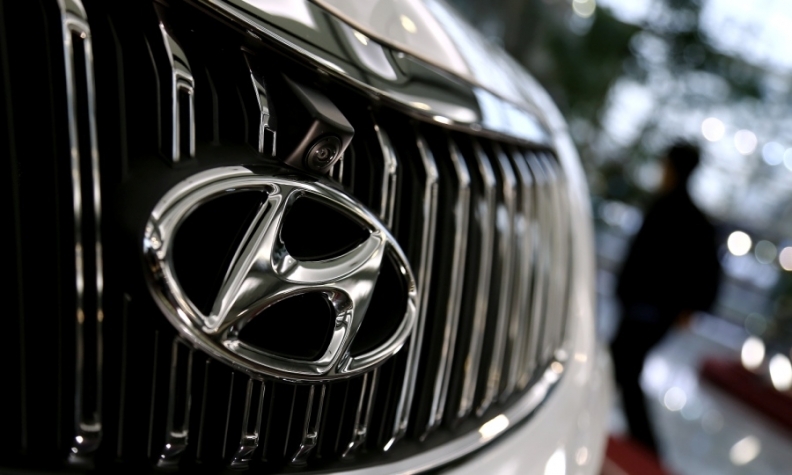 Hyundai, the world's No.5 automaker when paired with sister Kia Motors Corp., has targeted a market it sees growing almost 30 percent in each of the next five years, but where its share ex-China is a paltry 2.1 percent. In 2014, its commercial vehicle sales fell at home, in China and elsewhere. To expand, Hyundai said it will invest 400 billion won ($363.13 million) to raise production of vans, trucks and buses in Korea by 2020, and that it has earmarked 1.6 trillion won for r&d in such vehicles until the end of the decade. Hyundai, in a statement on Monday, also said it plans to introduce "premium models in North America and Europe," without providing a time frame or other details. Hyundai lost share in the overall vehicle market last year in the United States, partly due to having few fuel-guzzling pickup trucks and SUVs -- segments which surged in popularity as oil prices plunged. The U.S. is Hyundai's second-biggest overseas market after China. To launch commercial vehicles there and challenge established rivals will take considerable time, analysts said. "Hyundai and Kia need to bolster their weak commercial vehicle business to reach an annual production capacity of 10 million vehicles, from about 8 million currently," said analyst Suh Sung-moon at Korea Investment & Securities. Hyundai started making heavy-duty trucks such as the Trago in China last year for the local market, and plans to start building its H350 light commercial vehicles in Turkey in March to enter Western Europe. On Monday, it said it plans to boost annual production capacity at its factory in the southwestern Korean city of Jeonju by 54 percent to 100,000 commercial vehicles by 2020, from the current 65,000. Hyundai Motor Group, which spans scores of firms including auto parts maker Hyundai Mobis Co., in January said it would spend $73 billion over four years. The announcement followed a government call for conglomerates to spend more to help revive Asia's fourth-biggest economy. Hyundai's latest announcement is also likely to be seen part of efforts to alleviate investor complaints about the lack of clarity on a future direction following the automaker's involvement in an expensive property deal last year, Suh said.